I’m sure you’ve heard a lot about Mardi Gras in New Orleans. But did you know the first American Mardi Gras took place a whopping 320 years ago? French explorer Pierre Le Moyne d’Iberville sailed into the Gulf of Mexico on March 3, 1699 and set up camp on the west bank of the Mississippi River, about 60 miles south of New Orleans. He named the site Point du Mardi Gras, in honor of the holiday that had been celebrated in Paris since the Middle Ages. The Mardi Gras season begins on Epiphany (January 6th) or 12 days after Christmas. It’s also known as King’s Day – where the three wise men brought the infant Jesus gifts of frankincense, gold and myrrh. 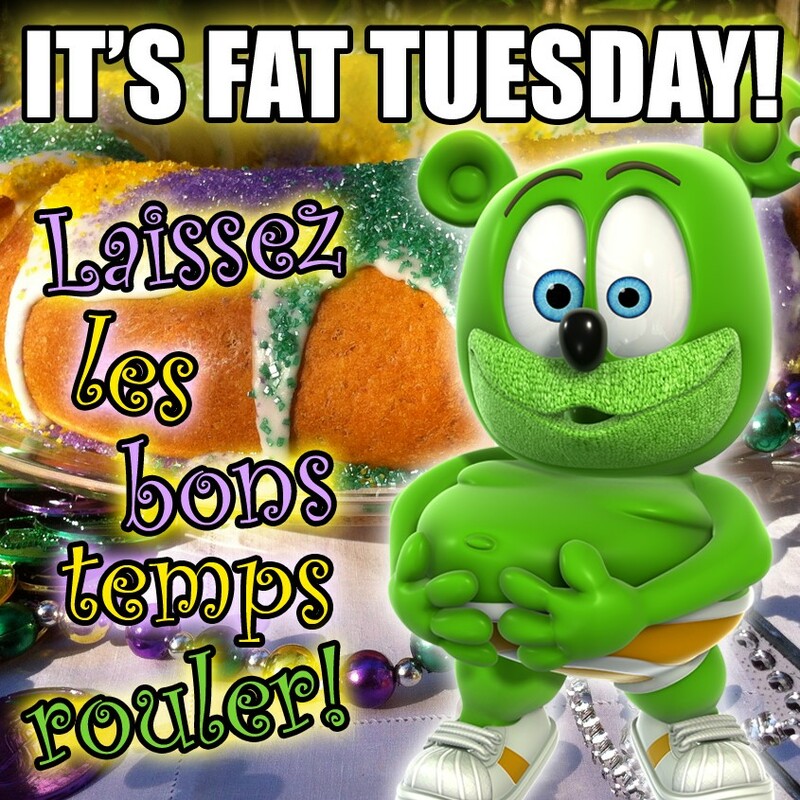 The end of the season is called Fat Tuesday. This is a day to party because when the day is over Lent begins – a time to sacrifice and do without. The krewe (pronounced “crew” or a social club that sponsors Mardi Gras festivities) known as the Twelfth Night Revelers or TNR, were the first to start the tradition of throwing parade goers strings of beads. This changed the experience of “parade watching” into a truly active, personal experience. The TNR group names their king “Lord of Misrule” – I think that’s pretty cool. As the name suggests, the origin of this colorful dessert is rooted in royalty and tradition. This is a seasonal treat that Mardi Gras partygoers eat between January 6th and Fat Tuesday. The king cake is made of a rich, brioche dough and a number of fillings including: cinnamon, chocolate or cream cheese. Then the magic is added with a glaze and sprinkles that are usually gold (power), green (faith) and purple (justice) – all Mardi Gras colors. The King Cake is baked without a center, like a Bundt cake – except that, buried inside the batter is a plastic baby that’s a symbol of Baby Jesus. It’s said to bring good luck to the person who finds it in their slice of cake. We’d also like to suggest another delicious cake found in New Orleans. To read our blog about the delicious Dobash Cake CLICK HERE. I came across a description of pimento cheese recently that stopped me in my tracks. I was amazed when I read how popular it is in the southern states. It’s a unique cheese spread that is described here by food editor and best-selling author Anne Byrn. 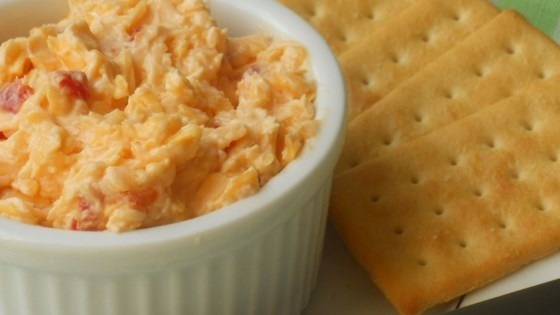 “When you don’t feel like cooking, pimento cheese comes to the rescue. Just open the fridge and it’s ready for fishing trips, family reunions, funerals and even weddings.” Okay, since it’s so versatile and popular, we’ll add Mardi Gras to this list. It goes well with pita chips, Triscuits, Saltine crackers and hamburgers. You can buy it or make yourself. Byrn says, “It may seem a bit much to make the first time you do it, but if you do it enough times it’s a walk in the park.” For the recipe titled Old-fashioned Pimento Cheese CLICK HERE.